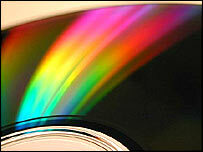 Future DVDs could hold 100 times more information than current discs. Imperial College London researchers in the UK are developing a new way of storing data that could lead to discs capable of holding 1,000 gigabytes. 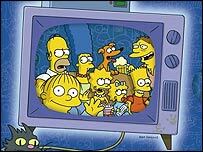 It means that every episode of The Simpsons could fit on a disc the size of a normal DVD. Lecturer Dr Peter Torok revealed the technique called Multiplexed Optical Data Storage (Mods) at the Asia-Pacific Data Storage Conference 2004 in Taiwan. The work is part of a collaboration with researchers at the University of Neuchâtel, Switzerland, and Aristotle University of Thessaloniki, Greece. DVDs are one of the most successful consumer products in history. Most DVDs have two layers and can hold up to 8.5GB. Work is already well advanced on the next generation. One technology, HD-DVD (High Definition DVD), can hold up to 30GB, while a rival format called Blu-ray offers 50GB of storage. The technique developed by the Imperial College team could offer much more on a disc. The researchers believe their technique could be used to create a disc with four layers, each with 250GBs - the equivalent of 118 hours of video per layer. A four-layer DVD could hold one terabyte (1,000Gbs) of data, enough for 472 hours of film, or every episode of The Simpsons ever made. The Mods technique is laser-based like existing DVD and CD technology. A disc is made up of tiny grooves filled with pits that reflect the laser as a series of ones and zeroes. Current discs carry one bit of data per pit. But the researchers say that by using angled ridges in the pits, they can alter the way light behaves. The end result is a way of encoding and detecting up to 10 times more information from one pit. "We came up with the idea for this disc some years ago," said Dr Torok, "but did not have the means to prove whether it worked. "To do that we developed a precise method for calculating the properties of reflected light, partly due to the contribution of Peter Munro, a PhD student working with me on this project. "We are using a mixture of numerical and analytical techniques that allow us to treat the scattering of light from the disc surface rigorously rather than just having to approximate it. "The future for the mobile device market is likely to require small diameter discs storing much information. This is where a Mods disc could really fill a niche," he said. It could be some time before the technology makes it way into the living room. The Imperial College team believe it could take five years to perfect their technique, with a commercial version available by 2010, depending on funding.